The City of Saint Paul is implementing bikeway and traffic calming improvements along sections of Pelham Boulevard, Myrtle Avenue, and Raymond Avenue in Fall 2017. The project is complete with the exception of installation of green pavement markings at intersection conflict zones. This work will occur in Spring 2018. Download a shareable PDF meeting invitation postcard here. Download a letter of support from Union Park District Council. Download a letter of support from Saint Anthony Park Community Council. Download a copy of the presentation materials. The Transportation Committee recommended implementation of the proposed project. If you can not attend the public hearing, you can email comments to ward4@ci.stpaul.mn.us to have them included in the public record. Download a copy of the public hearing announcement mailed to neighborhood properties. This is a component of the Saint Paul Grand Round. The Grand Round planning process implemented a set of both short-term and long-term improvements to the Grand Round, which includes the project area. City staff is proposing to implement the short-term, or "interim", improvements at this time. 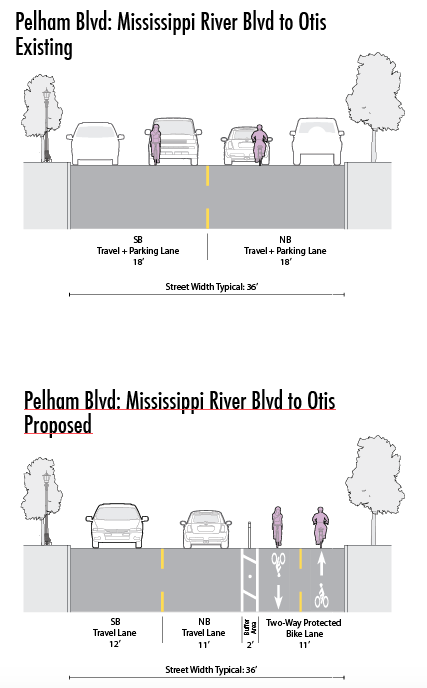 The short-term improvements include implementation of a two-way in-street protected bikeway along Pelham Boulevard between Mississippi River Boulevard and Myrtle Avenue. 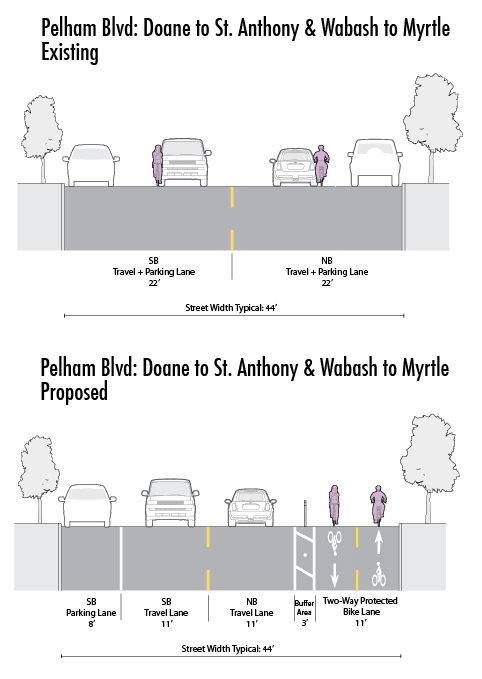 In-street bicycle lanes (unprotected) will be added to Myrtle Avenue between Pelham Boulevard and Raymond Avenue as well as to Raymond Avenue between Myrtle Avenue and University Avenue. 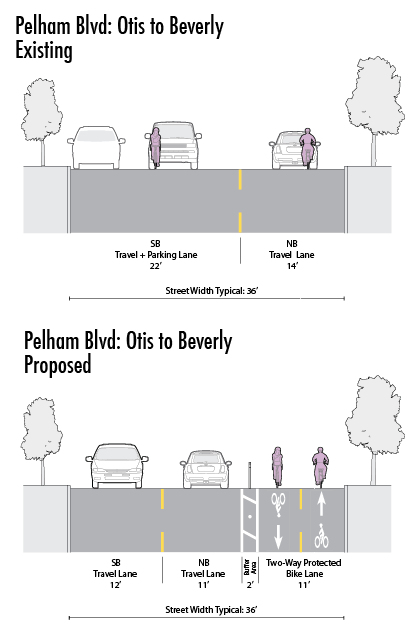 The two-way protected bikeway on Pelham Boulevard will include flexible delineators separating the roadway from the bikeway. Myrtle Avenue will permit motorized traffic only in the westbound direction. A contra-flow bicycle lane will allow people using bicycles to move eastbound.